Pink and Grey! Fabulous pink and grey stripes with a black fur trim. 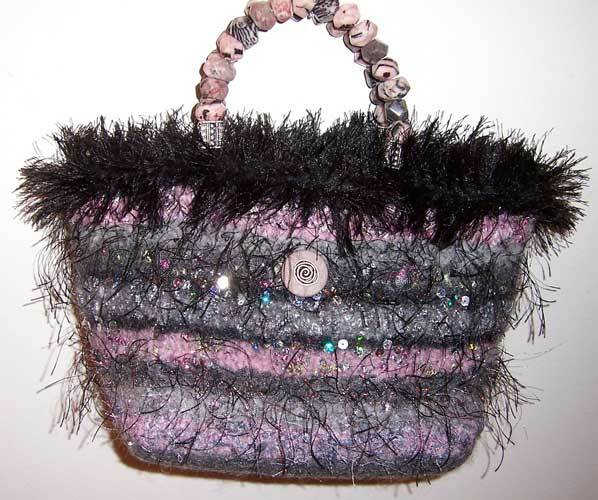 Sequins and black,pink, and silver eyelash add pizzazz. To top it off a single pink button with a silver metal swirl and pink, black and grey rock handles. Approximate dimensions are 7" (h) x 9" (w) x 4" (d).